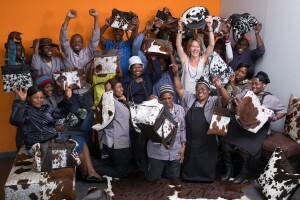 We are so lucky at Zulucow, to have such a talented team of craftswomen and men; who finely craft all our beautiful cowhide products, in rural South Africa. 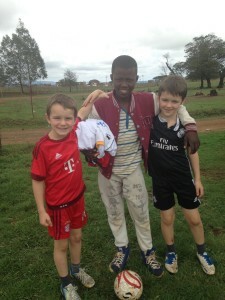 The boys with Thandeka’s younger brother: ‘Keepy-uppy King’ and Real Madrid fan, Sifose! Even though Sifose (Thandeka’s younger brother) speaks good English,the boys preferred to ‘speak’ the universally shared language of football, and let their skills and Sifose’s impressive ‘keepy-uppy’ tally do the talking. 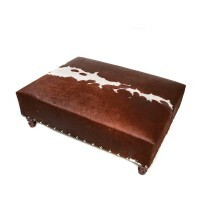 Unfortunately we can’t get out to see our ZC artisans in South Africa this December. I rang Lihle this week to say hi and to wish her and the team a Merry Christmas, and asked her what plans the team had for the festive break……. Yet to my surprise and delight she was still at the workshop last Christmas and had just been promoted to the role of Receptionist and Sales Person. Ma Beatrice is my favourite! Always laughing and giggling. 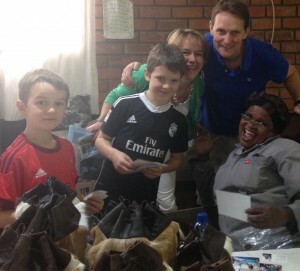 Last year she ran up to our boys and gave them big warm Zulu ‘Gogo’ (Granny) hugs, before I received one of her wonderful warm embraces too! She said “Ngiyakuthanda wena” (We love you Lucy.) I was taken aback, but over the years I’ve realised how crucial these jobs are for all our artisans in this country of colossal unemployment. I realised that they rely hugely on the jobs that YOU (our customers) are creating when you buy any of our Nguni cowhide beanbags, rugs bags belts or cowhide cushions, or any other of our cowhide home and fashion accessories. Ma Beatrice says her favourite Zulucow pieces are the cross-body bag (or as she calls them: ‘The Lucy bags’, bucket bags and weekend bags. Ma Beatrice, her daughter Lihle and me. 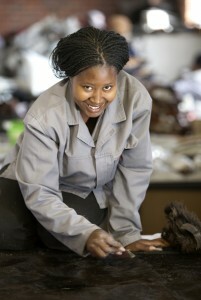 Ma Philippine is another of our senior, experienced seamstresses. 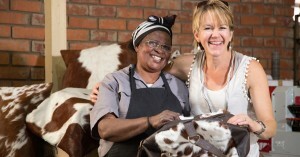 She says her favourite Zulucow items which she enjoys making are our cowhide weekend bags, purses and cushions. 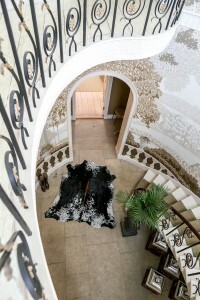 More ‘vignettes’ from our fabulous team, in tomorrow’s blog!